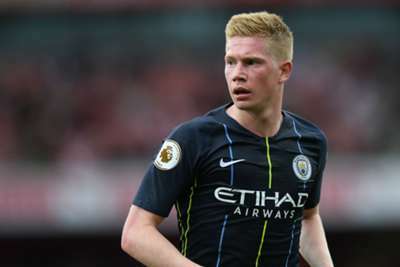 Kevin De Bruyne is in contention to make his return to Manchester City's starting line-up against Burnley, manager Pep Guardiola has confirmed. The Belgium midfielder has been sidelined with a knee injury sustained in August but returned to training ahead of City's goalless draw against Liverpool before the international break. De Bruyne is now in line to face the Clarets at the Etihad Stadium on Saturday, although Guardiola warned he may not be able to play the full 90 minutes. "Yep [De Bruyne is ready]," Guardiola told a news conference ahead of the Premier League fixture. 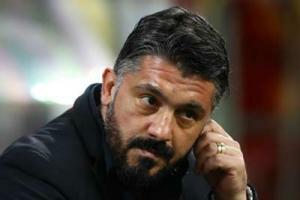 "I don't know if he is able to play 90 minutes. He's trained well the last two weeks. "He's such an important player for us. Whenever a player is out, I like it when they come back - we will be stronger." There was mixed news elsewhere on the injury front for Guardiola, though, with Fabian Delph available again but Ilkay Gundogan still at least a couple of weeks away from making a comeback after being forced off during City's Champions League win over Hoffenheim. "Gundogan is not fit and able, Fabian is back in contention," the Spaniard added. "I don't know two or three weeks [for Gundogan], I don't know exactly."